Steve Kurowski, of the Colorado Brewers’ Guild, said interest in wet hopped (also called fresh hopped) beers is growing. The Falling Rock brewery in Denver is holding its 9th Annual Fresh Hop festival in late September. Even though the festival has been around for awhile, interest in it, and the number of breweries participating, has exploded, said Kurowski. For good reason, he adds. 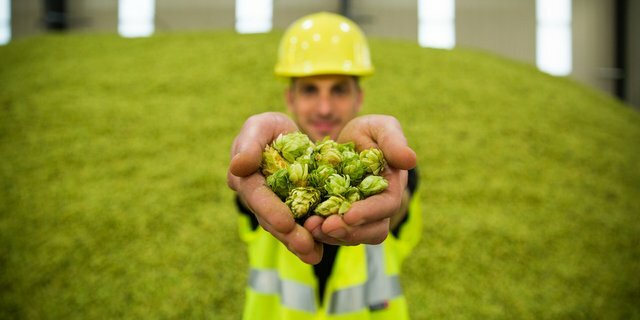 Most beers are made with dried hops. Those brewed with fresh ones are unique. Be sure to head over to the KUNC website for the full story, and watch the video below from Brew Age that’s full of hot hops info that’s sure to get your hops wet with anticipation for this year’s hops haul.